Talent and hard work are a winning combination that will not go unnoticed. 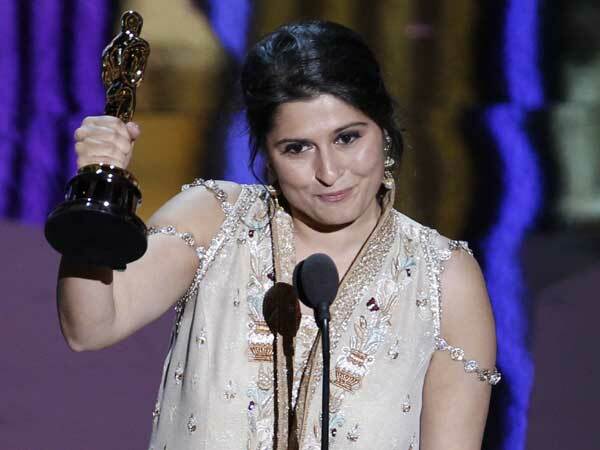 The Oscar award given to Sharmeen Obaid Chinoy, in the best short subject documentary category is indeed proof of this fact. Other than being a personal achievement it has also injected positivism and confidence in a country which is generally negatively portrayed in the media. For those aspiring to enter the film industry it is inspirational and a message to the youth to look forward and not think about the obstacles in the way to success internationally. The media is rife with negative news about Pakistan, but an achievement such as this shows the world that the people of this country are resilient and have other merits attached to them than just being labelled terrorists. One of the most prominent award ceremonies, being televised in over a hundred countries, it has also been able to show the world that the Pakistani woman is strong, intelligent and bold and not the stereotypical woman who has no voice. The documentary has been able to make a positive change in the lives of women. It has acknowledged the fact that heinous crimes like this do exist in society but there are also people who can expose them and thereby play a role in trying to eradicate them. It has also come into the limelight of those celebrities who have a wide influence on the media and their audience and the ripple effect of this will hopefully make itself apparent. An achievement such as this is an inspiration to the youth of this country who are enveloped by inflation, politicians who only seem to serve their self interest and are becoming less proud of being Pakistani. It proves that even in spite of these circumstances, people can still make a difference and steer the thinking of people towards a more positive way of thinking. Yes, we have crime, we have problems but we all have the ability to help solve them. Its time we started taking things in our own hands and moulding our own paths instead of waiting for someone else to do it for us.